Place all ingredients in a blender and process until smooth. You may need to scrape down the sides. Wash and clean geese and place in a large pot or pan. Mix water and kosher salt and pour over the geese making sure they are submerged in the brine. Cover and place in refrigerator for 24 hours. Remove geese from brine and wash under cold water. 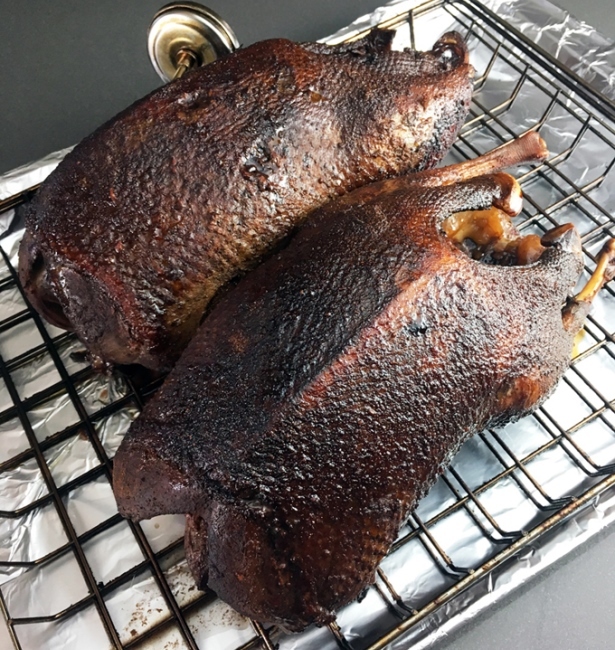 Set geese on a rack over a baking sheet. Let the geese air dry for 2-3 hours. Mix all dry rub seasonings together in a bowl. Using clean hands, rub the seasonings all over the exterior and interior of the birds. Heat a smoker to 250 degrees and use apple wood chips or apple bisquettes. Place geese on the middle rack and bake for 2 hours. Use a meat thermometer to check temperature of the thickest part of the birds. Continue smoking until meat registers 150-155 degrees. Remove from smoker and loosely cover with aluminum foil. Let rest for 30 minutes to 1 hour before slicing. 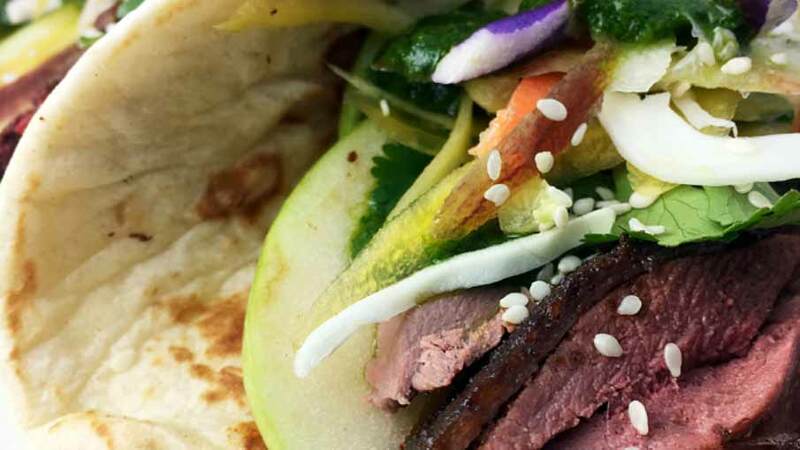 Serve sliced goose meat in a warm flour or corn tortilla with shredded cabbage, sliced green apples, shaved carrots and cilantro sauce. 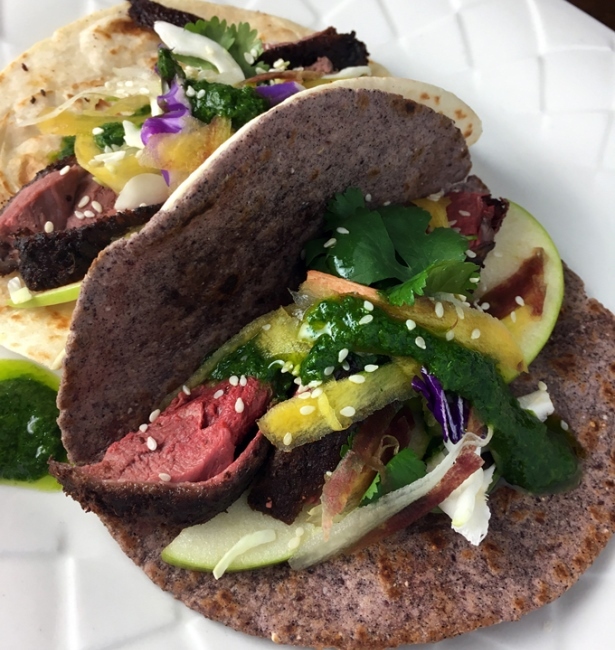 For more information on this smoked goose tacos recipe, please visit NevadaFoodies.com.